DJ's Book Corner: Welcome to Adelheid Blog Tour: Cameron's Law by @MiaDarien [Review] + SWAG #GIVEAWAY! Welcome to Adelheid Blog Tour: Cameron's Law by @MiaDarien [Review] + SWAG #GIVEAWAY! 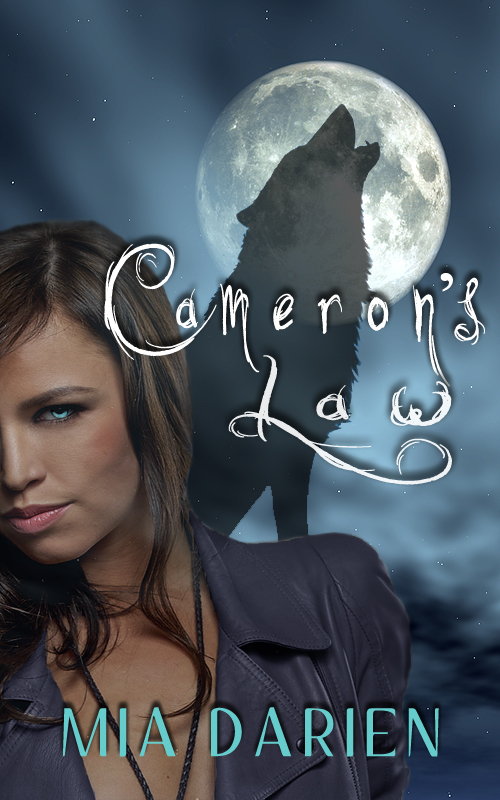 Cameron's Law has made all supernatural creatures legal citizens, and the boy next door has suddenly become the werewolf next door. With Sadie Stanton, vampire and one of the public faces of the legislation, calling the little town of Adelheid, Connecticut home, it can't help but be a focal point for these once mythical beings. But when vampires start attacking werewolves without provocation, Adelheid draws the attention of those that would seek to have Cameron's Law repealed and would send the preternaturals back into the shadows they used to hide in, but without the safety of their anonymity and their law. Cameron's Law was a fast, easy read with plenty of laughs and characters that didn't make you wanna punch holes in brick walls. I love vampires (4Eva) and even though vamp stories don't hold anymore surprises for me, this one was still refreshing. Darien kept CL all about the brooding war between species and the effect it would have on their civil rights. There was only a touch of romance so it never overshadowed the main plot or anything. I usually love my vampire romances and it wouldn't have hurt the book at all if there was more of it, but I was okay with the lack of lovey-dovey. There was enough wit and humor to keep me satisfied. Sadie was a great main character to kick off this series (each book has a different narrator). I liked her incessant sarcasm (though there were a few times where I was like, okay, give it rest, girl). But it was a defense mechanism that was totally ingrained in her personality. So you eventually come to expect something crazy to come out of her mouth every time she opens it. Funny thing is, even Sadie (Darien) knows she slathers on the sarcasm a bit thick and references it several times. I thought Madison was a cool "sidekick" character and the addition of the cop Vance and especially the hunter Dakota was more than welcome. Dakota is the narrator of the next book and I'm quite intrigued to finish that one up. The mystery wasn't too hard to figure out, though there were pieces of the puzzle that I wasn't able to put together. The ending was convenient, to say the least. I don't like neat endings. I like them messy and dramatic. Nevertheless, it didn't lessen my enjoyment of the book. If you're looking for a quick, entertaining read, well I would suggest this one. You'll laugh the whole way through at Sadie and Madison's BFF banter, and Dakota will leave you smirking at some of her comments. So overall, a good read and I'm looking forward to reading When Forever Died! Thanks for the review. ;) And for hosting me on my blog tour! ...and for, y'know, everything else.